We are excited to announce our 2017 New Year’s Run. 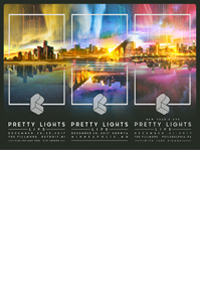 Pretty Lights Live will visit, Detroit, Minneapolis, and Philadelphia! We have partnered with PLUS1 so that $1 from every ticket in Detroit and Philadelphia goes to support organizations working to provide rapid emergency relief to those affected by the devastation of Hurricane Maria.